All your Radikal Darts information in the palm of your hand! 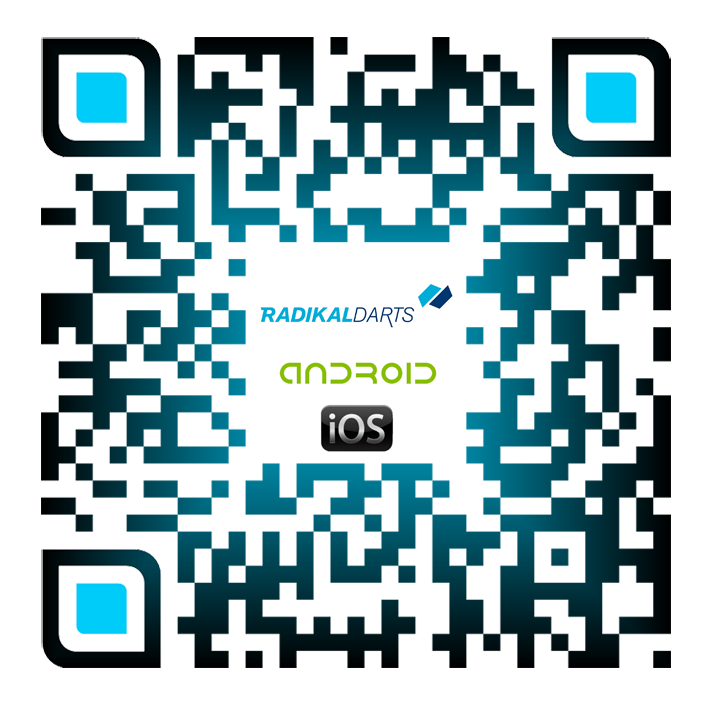 Search for Radikal Darts in Google Play Store or iOS App Store. Some section are still under development, send feedback via the App or to support@m-darts.com. Radikal Players has a new oficial app for all the dart players from Radikal Darts!! Search your closest dartboard machines wherever you are, watch all live classifications, manage you profile data, check your MPR PPD rating and get instantly the last news from the Radikal Darts world. Now available the NEW Radikal Darts Official App!! For all Radikals here it is the Radikal Players App!! - Download the app and you could instantly watch all the competitions rankings/classifications. - Manage all your profile data and check daily your rating changes. - Search the closes dartboards to your current location!! Play at Radikal Darts Dartboards wherever you are!! - The App will notify you whenever the competition information is changed. - Link your account to Facebook and share your best games with your friends. - New Radikal Shop, you will be able to buy products and enjoy them instantly. - Top 50 Radikal players, you can check out the best classifieds in Radikal System. - Much more improvements in progress! Stay tuned!